Welcome to the youth stamp collecting club's page! Everything's Stamps club was established in the middle of 2008 to promote the hobby of stamp collecting to our area's youth. There are numerous benefits to stamp collecting, aside from the fun, relaxation and numerous friends one makes through this hobby. One can learn about distant places, the way they live, their customs, their economy, and the history of the world. You may also specialize in a certian subject or area. This will always expand your knowledge in something you are already familiar with and interested in. We currently have numerous members from the Abington Heights and Lackawanna Trail school districts, although we will welcome any youth that would like to stop by and see us or join. We have a lot of activities, prizes and items available to our members at each meeting. The members of Everything's Stamps also recieves a copy of NEPPS Philatelic Inquirer (NE PA Philatelic Society's monthly newsletter) which has an activity for everyone to complete along with news of Everything's Stamp club. Everything's Stamps club meets every third Sunday of the Month (January - October) at 2:30pm in the Abington Community Library located at the intersections of Morgan Highway and Grove Street, Clarks Summit, PA. Please contact Betty Perry at perrydb1@earthlink.net for more infromation. Philatelic donations are always needed and welcomed. 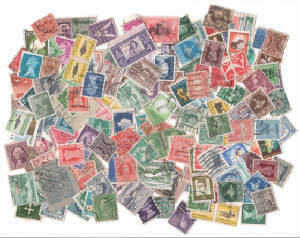 Everything's Stamp club is sponsered by The Abington Community Library, Northeast Pennsylvania Philatelic Society, and an affiliate of the American Philatelic Society's Young Stamp Collectors of America.